view another article... This foot condition is the new back pain — it’s everywhereCarestream, CurveBeam to spread word about weight-bearing CTNew Cartiva ImplantPain Free Plantar FasciitisUFAI featured on ABC NewsCarolina Panthers Star Lotulelei's Foot InjuryFoot Surgery InnovationsBiggest Opportunities for Foot SurgeonsDoctors TV Show - Foot Surgery while Pregnant10 Diseases Your Feet Can Reveal, Readers DigestPlantar Fasciitis TreatmentsThe Doctors TV, Living with Plantar FaciatiisHow to Stop Foot Pain for Good44 Ways to Correct Hallux ValgusDo fat-soled running shoes protect aging joints?Ankle replacement can restore mobilityCam Newton's Ankle InjuryMinimally invasive Foot & Ankle Surgery49ers' Crabtree 'amazing' Achilles recoveryCurry more likely to play than Bryant3-D Scan Reveals Foot Damage by High HeelsAlbert Pujols' Foot InjuryWill Kobe Return? Doctors Raise Questions About Laker Star's Future In The NBAWhat Kobe must do to prove 'doubters' wrongKobe Bryant's difficult task ahead after injuryPau Gasol's return from foot injuryIs barefoot running a bad fad, or better choice?Born to Run Barefoot?Born to run barefoot? Some end up getting injuredCan a $15 basketball shoe have game? Conditioning is more of a factor, especially with elite athletes," he explained. "There could be some bone loss with the time he was non-weight bearing, and even when he was ramping up. 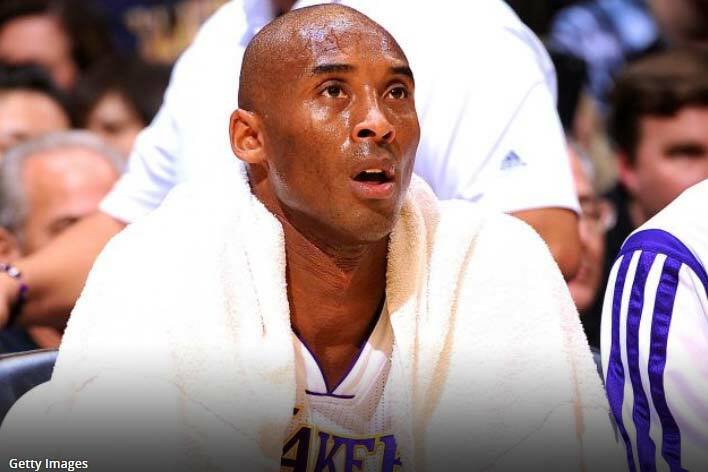 News broke late Thursday that Kobe Bryant has another injury to his leg. The Los Angeles Lakers' Twitter account gave us the bad news. He was diagnosed with a fracture to the lateral tibial plateau: "Injury Update: Kobe Bryant has a fracture of the lateral tibial plateau in his left knee. He is expected to miss 6 weeks." The first thing we should do is understand where this is and how the injury happened. The lateral tibial plateau is the top of the tibia, or shinbone. If you go just below your knee and to the outside, you'll likely feel a rounded bump or knot. That's the plateau. As you can see, it is an exposed area. Many fractures to this area are the result of collisions or falls. The other place this is normally seen is in auto-pedestrian incidents, giving rise to this being called a "bumper fracture," for obvious reasons. Bryant twisted, ran into the defender and then fell. It's unclear if the plateau contacted the floor or whether it was the twisting stress that may have overtaxed the bone. Either way, the result is a small confined break. Minor fractures with no displacement are relatively easy to heal. There's no surgery necessary, just a period of non-weight bearing and therapy. With larger fractures, there may need to be a re-section of the bone or a fixation. Since Bryant was able to continue and joked about the situation after to Bleacher Report's Kevin Ding, it's reasonable to assume this is a very minor fracture. Bryant wasn't in obvious pain, though the likelihood is that there was swelling overnight, which is very common. That led to scans and this diagnosis. Regardless, Bryant did no further damage by playing through it. One of the biggest complications for this type of injury doesn't apply to Bryant at all. Usually, there is meniscal damage with this, but Bryant doesn't have any meniscus left, which has necessitated treatment and maintenance for years. That won't be an issue, though. I'm burying the lede a bit here in not answering the most common question until now: Was this injury related to the previous Achilles injury? Was Bryant rushed back? The simple answer is no. Bryant was watched closely by the Lakers staff and the world, so there's no reason to believe that he was rushed. He's looked well and played more minutes than expected since coming back. Dr. Neal ElAttrache and the Lakers medical staff are too good and put too much work into Bryant's rehab to risk pushing him back. In fact, they were clearly holding him back from his goal of returning on opening night to be sure he had fully recovered. While it's possible there's some cascade effect, this is a trauma situation. 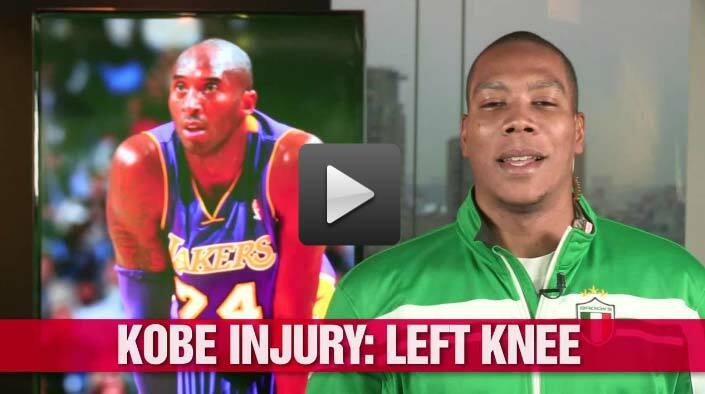 Bryant was contacted, fell and happened to twist or hit his knee. There's little that I have seen that suggests that there was any issue with the Achilles tendon or that there was any change in his gait. This is something that the Lakers are monitoring closely, so it would surprise me if this was a major contributing factor. Dr. Bob Baravarian, one of the top foot and ankle specialists in sports from St. Johns Hospital in California, spoke with me and said it's unlikely the Achilles had much to do with this injury. He agreed that it was more a traumatic injury. "Conditioning is more of a factor, especially with elite athletes," he explained. "There could be some bone loss with the time he was non-weight bearing, and even when he was ramping up." The six week time frame indicates a minor fracture, and while it's a very fluid timeline, it's reasonable. Jeff Stotts of Rotowire has compiled an NBA injury database. He tweeted that Kobe's injury compares to past injuries from Yao Ming and the late Lorenzen Wright: "Yao missed 32 games & Wright missed 33. Yao had non-displaced medial tibia plateau fracture while Wright's was lateral (outside) like Kobe." Neither Yao or Wright is a good physical comparable for Bryant, nor a stylistic one. Yao's fracture was indicative of major degeneration and is hard to compare in any way to Bryant. However, the 30-plus game timeline is reasonable. Dr. Baravarian said that the standard time frame is six to eight weeks, though with elite athletes, it could be longer before he's 100 percent. Six weeks would mean about 21 games, according to Ding. Bryant could return sometime in February, though again, there's a chance this slides back depending on his rehab and how the Lakers play in the interim. Fractures tend to heal cleanly, so there should be no long-term issue. There's complications in that it could alter both his gait, which could affect his Achilles, or it could create new issues inside his degenerative knees. The Lakers medical staff will be working hard for the next few seasons to keep Bryant both healthy and functional. How well they do may well determine how far into the history books he writes his name.